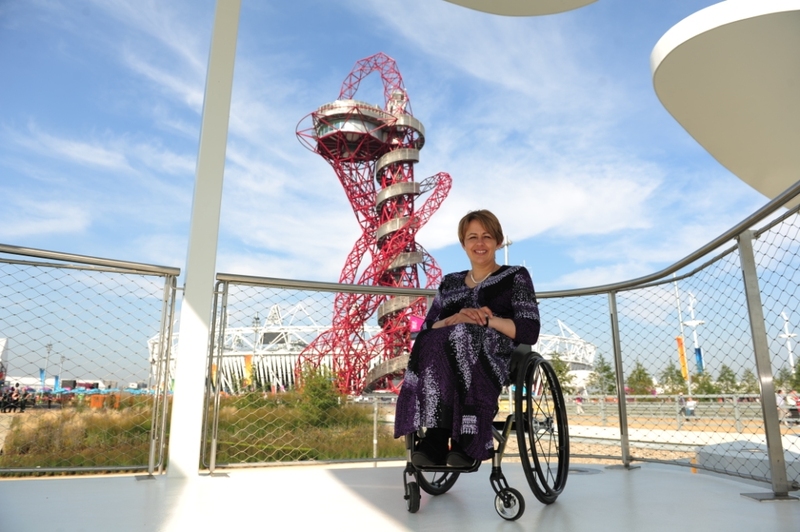 September 4 - Baroness Tanni Grey-Thompson has claimed that Oscar Pistorius' comments after his defeat in the Paralympic 200 metres T44 final to Brazil's Alan Fonteles Cardoso Oliveira will reopen the debate on whether amputees should be allowed to run in able-bodied events (pictured top). Pistorius was surprisingly beaten in the 200m, an event he has never lost in before, as Oliveira crossed the line 0.07 seconds faster than the South African. The 25-year-old used a post-race television interview with Channel 4 to question whether the Brazilian and American bronze medallist Blake Leeper should be able to effectively make themselves taller by lengthening their blades. It has since emerged that Pistorius had previously questioned the issue of blade length with the International Paralympic Committee (IPC). The South African is unable to increase the length of his blades because he had to agree on their size with the International Association of Athletics Federations (IAAF) in order to compete at the Olympic Games last month. Athletes' blades are measured using a formula estimating the height of the athlete and adding 3.5 per cent to allow for the fact that they run on their toes. Grey-Thompson, one of Britain's greatest Paralympians with 11 track gold medals to her name, told insidethegames that this would reignite the debate over amputees taking part in the Olympics and other able-bodied events. "It was an amazing run, and it opens another really interesting discussion about the prosthetics," she said, referring to the original row when he was disqualified from competing in the Beijing Olympics because of a supposed advantage gained from his prosthetics – a decision which was later overturned by the Court of Arbitration for Sport (CAS). "A lot of the stuff that was thrown at Oscar about whether it's fair or unfair... we are now having this debate about another athlete. "It opens a debate about whether amputees should be allowed to run." However, she insisted that the IPC should not change the rules in haste despite the controversy caused. Grey-Thompson, who was commentating on the event for BBC Radio 5, said she sympathised with Pistorius' disappointment, but added that a longer blade would not necessarily equate to an advantage. "It is so emotional when you come off the track. "What we got from Oscar was a really honest response." Pistorius, who complained he could not compete with Oliveira's stride length actually took fewer than the Brazilian during the race. 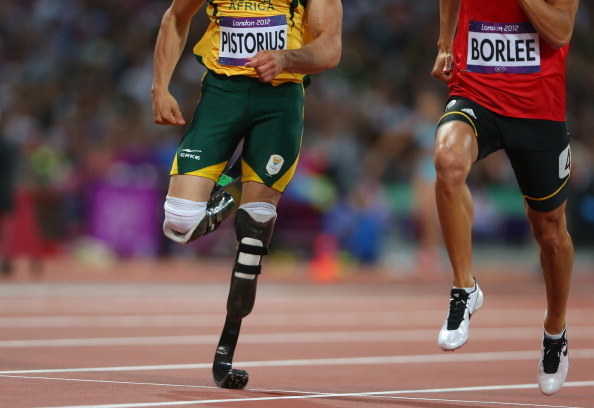 During the first 100 metres of the race, Pistorius took 49 strides compared to Oliveira's 52 and in the second half made 43 compared to his rival's 46 – meaning his stride length was actually longer. 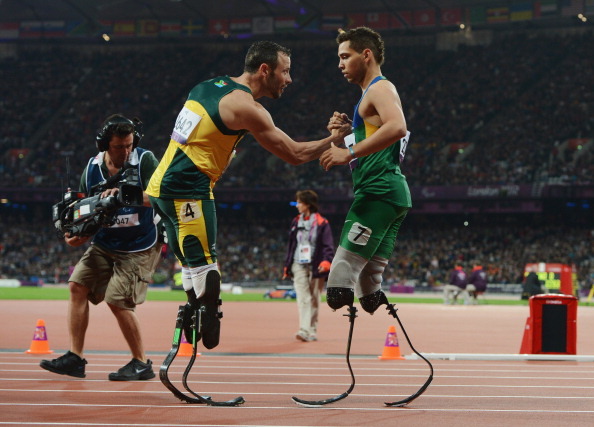 However, the South African still argued that Oliveira's blade length gave him an advantage and a better chance of winning the race; with a shorter blade and the same running technique as Pistorius' the Brazilian may have needed more strides to catch his rival. As Grey-Thompson pointed out, "It is not a black and white area." The 20-year-old Brazilian gave a diplomatic response to Pistorius' rant, saying the silver medallist "is not a bad loser, he is a great athlete. "I am just sad with the interview where he said my blades were too big. "He was bothered by my time in the semi-finals and he wanted to get to me with his polemic but it did not work." The pair are set to do battle again in the 100m and 400m finals on Thursday (September 6) and Saturday (September 8).